It’s still hard to believe that I’ve finished my second full marathon and that I’ve already lived another week since! 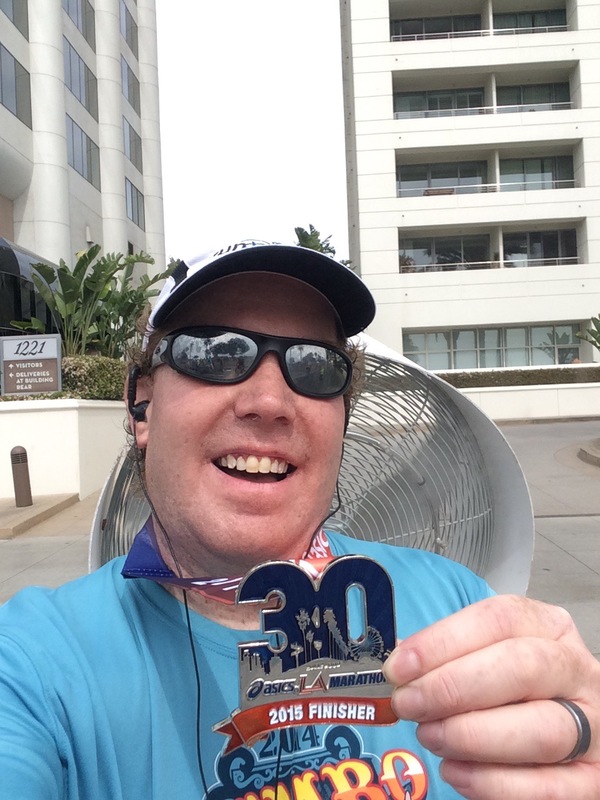 The week after the LA Marathon is one that I’ve gone back and forth about. How should I conduct such a week? 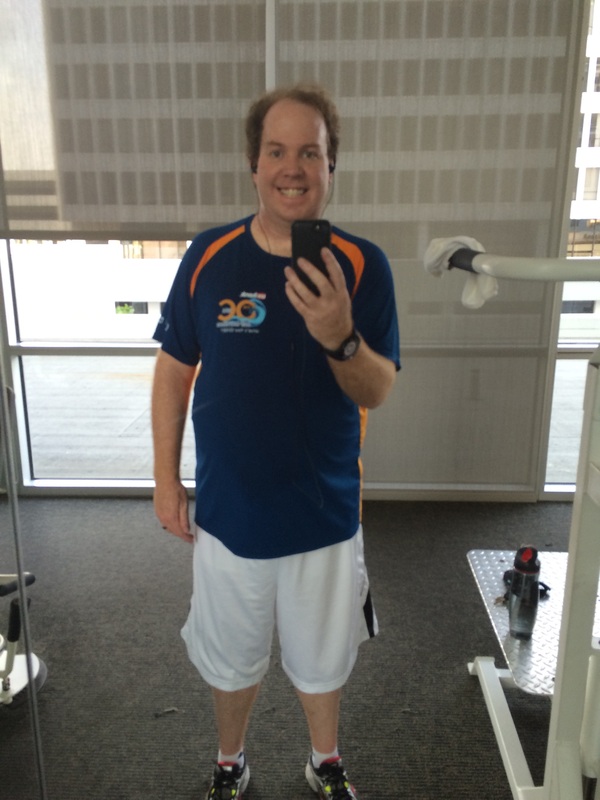 Should I continue on with the regular mid-week 3 mile runs and a longer run on the weekend with a gym workout? Or should I take the entire week off? Or something else? If you look at my training calendar, you’ll notice that I had scheduled to take the mid-week training runs off and come back to training on the weekend. As I was in my marathon week training, I thought I should not skip those mid-week runs. After all, I was building some awesome momentum. I worried that taking the mid-week runs off would stop that momentum. By the time I reached the day of the LA Marathon, I decided not to worry about it and see how my body felt. So, how did the week after pan out? Let’s find out. 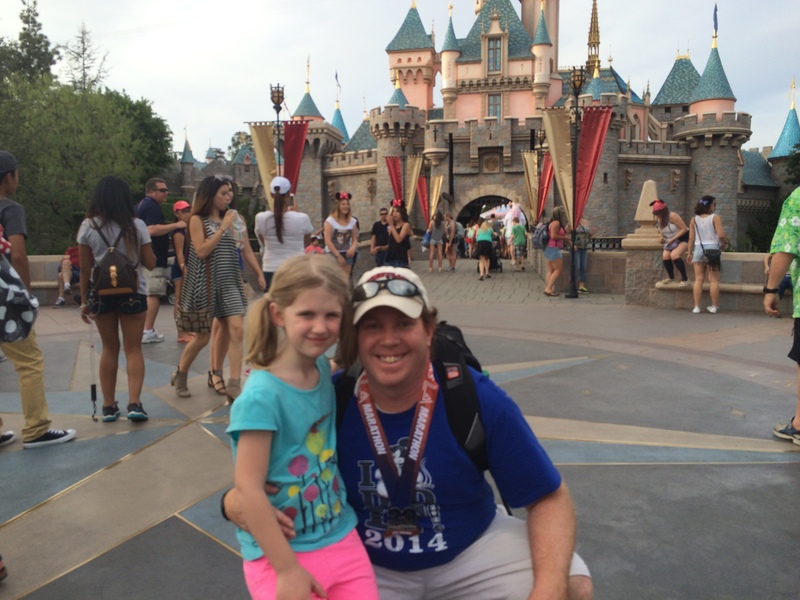 On Monday, I headed out to celebrate my marathon finish at the Disneyland Resort. After all, when I finished my first full marathon, I went to the Magic Kingdom the next day. So, that’s what everyone who finishes a marathon does. Right? You finish a full marathon and then go to a Disney theme park the next day. My youngest niece was in town from Houston. So, we got to take her for her first trip to the Disneyland Resort! That made it a double celebration! Since my niece is a huge fan of Frozen, we made sure to start the day in Disney California Adventure to take advantage of all the Frozen themed things to do. I thought it was pretty fun to take my LA Marathon medal to the snow. After baking in the heat the day before, it was awesome to be in snow….even the fake kind. Of course, we also made it over to Disneyland for the finish of our day! 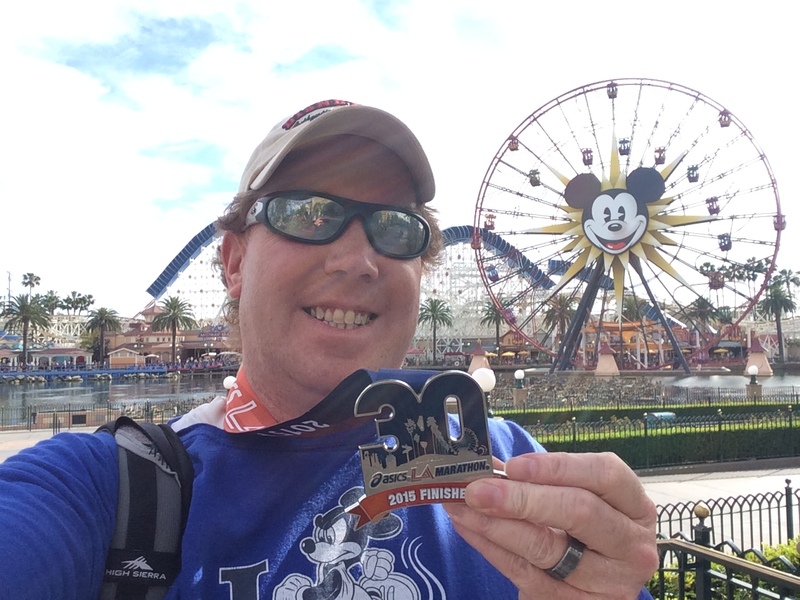 I did find that wearing my Los Angeles Marathon finishers medal had the same effect as wearing a runDisney finishers medal has in the theme park. Lots of congrats! Of course, there were a lot fewer people wearing them. One thing that made me feel pretty good about my decision to go to Disney the day after the marathon was seeing 6 other LA Marathon finishers in the parks! Go us! Tuesday was the day I had debated over for a few weeks. We got home so late from Disneyland on Monday that my decision was made for me. This would be a day off. On my way to work it dawned on me the difference between running the Walt Disney World Marathon and running the Los Angeles Marathon. The day after the 2014 Walt Disney World Marathon, I went to the Magic Kingdom. 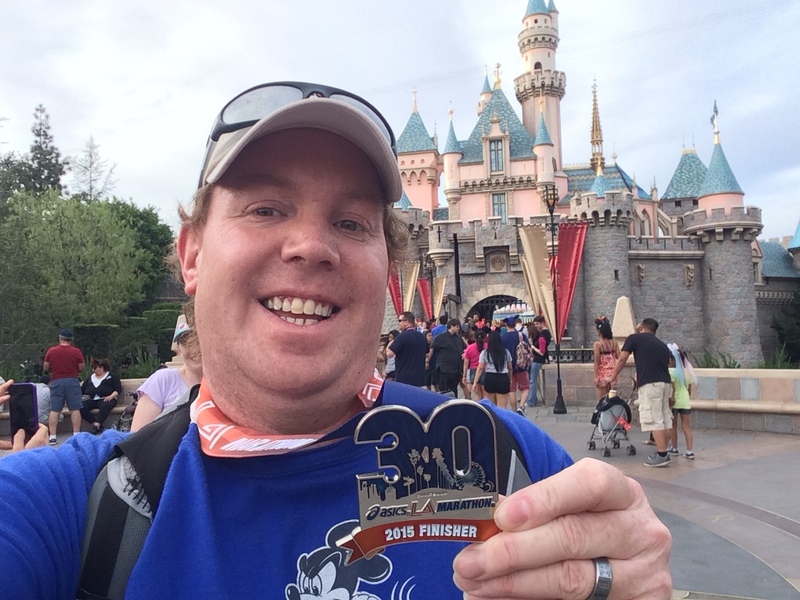 The day after the Los Angeles Marathon, I went to Disneyland. However, the Tuesday after the Walt Disney World Marathon was a travel day. Brooke and I pretty much lounged around our resort for the day until it was time to get on our Magic Express bus for the airport. The Tuesday after the Los Angeles Marathon, I was back to working. Those are pretty different kind of days. 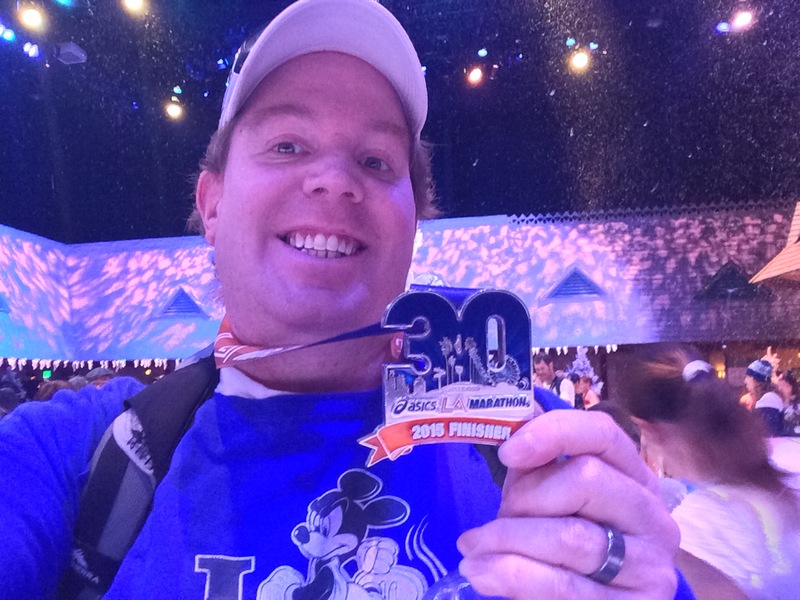 To top that off, the Wednesday after the 2014 Walt Disney World Marathon was a chore day, not a second work day. So, in planning this week beforehand, I had missed on those details. On Tuesday, I was pretty tired and sore from the marathon and a day at Disneyland. Then, we had dinner at my in-laws place for St. Patrick’s Day. Needless to say, it was a pretty full day. So, Wednesday became another day off. It was the only day of the week where I got to come home from work and get caught up on everything that got put on hold from the activities of marathon weekend and after. By Wednesday, I was starting to feel more normal and knew I’d feel pretty close to 100 percent physically by Thursday. However, it was on Wednesday that I decided to wait until the weekend to run again. I might have been physically right to run on Thursday. However, I needed the mental break. Saturday, I finally got back out to running! On the calendar was 3 miles. 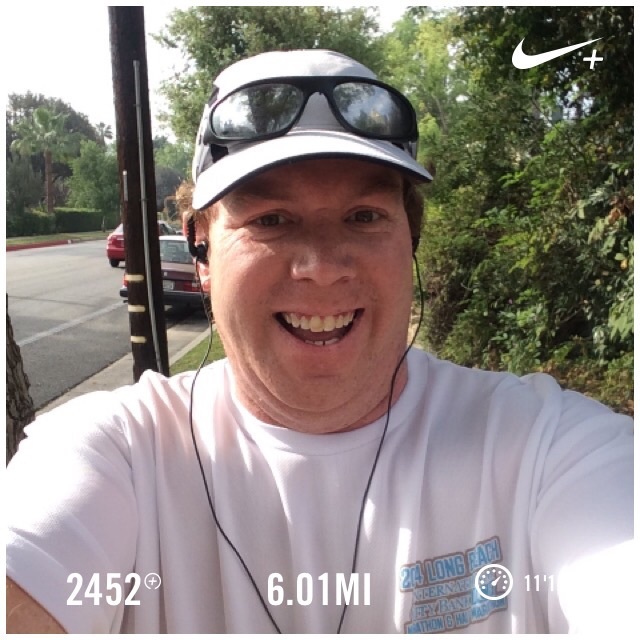 However, I felt really good and decided to take on 6 miles instead. Originally, I wanted to run around the Rose Bowl. However, a check of their calendar told me that there was an event. So, the Rose Bowl wasn’t going to happen. The reason I wanted to run the Rose Bowl is that each lap is around 3 miles. So, I could go one lap and see if I was up for another. Instead, I took on the 6 mile loop around my apartment. It’s a totally different mind-set to decide that 6 miles is going to be what you run. I knew that, in doing this, I was deciding beforehand I’d do 6 miles. So glad I did! The first mile felt absolutely amazing! I loved being out and running again! To make it even better, everything felt normal. I didn’t feel heavy legs or any effects from the marathon! I ran the first two miles in just over 21 minutes and was still under an 11 minute per mile average by the end of 3 miles! In all honesty, it felt a lot like the 7 mile run I did in the week before the marathon. All of this validated my decision to take the mid-week runs off. By the time I got to this run, it was if I was picking up where I left off on marathon week. 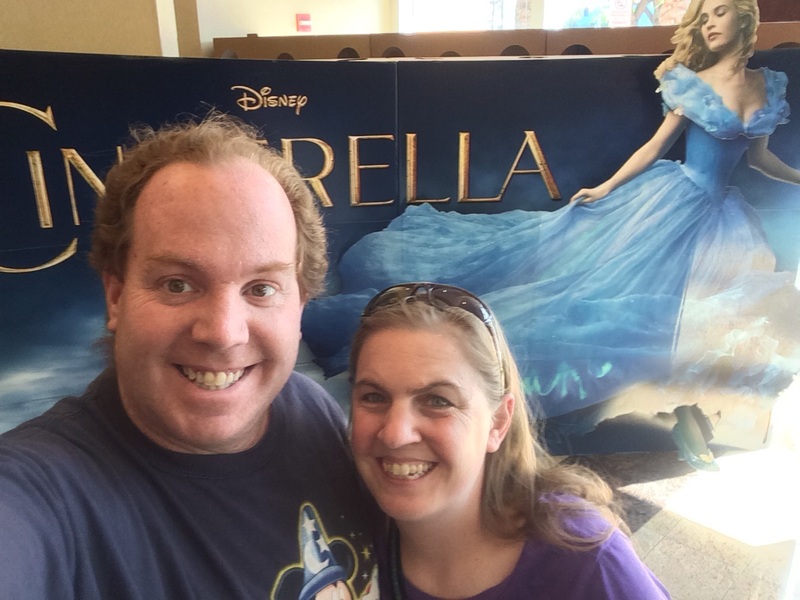 In the late afternoon on Saturday, Brooke and I headed off to watch Cinderella. Since I was consumed with marathon madness the weekend before, we had to wait one week. It was a film filled with all the Disney, fairy tale, goodness you’d expect. Frozen Fever (the short that plays before Cinderella), is super fun! I totally want one of those little snowmen that Elsa sneezes up throughout the short! I won’t say much more because I don’t want to spoil anything for those of you who haven’t seen Cinderella or Frozen Fever yet. 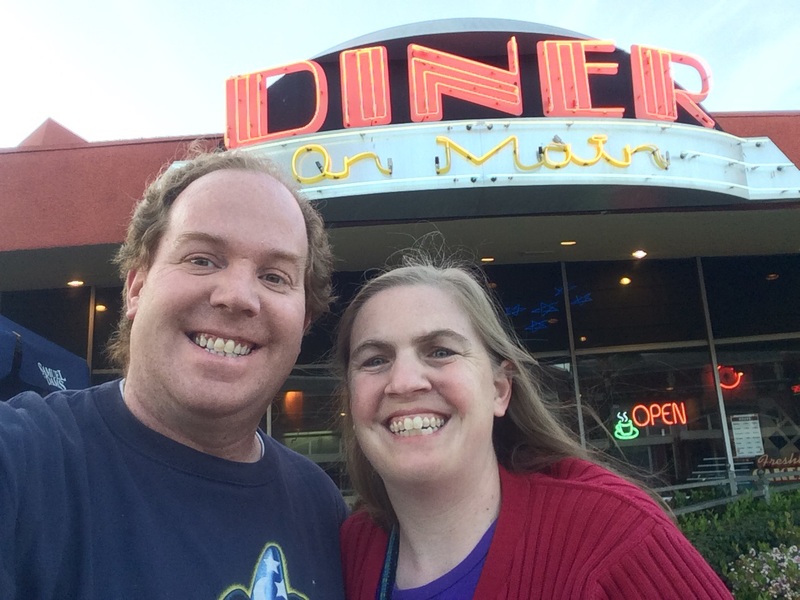 We continued our date afternoon/night with dinner at the Diner on Main in Alhambra. When we drove by it on the way to the movie theater, we thought it would be fun to check out a different place to eat. 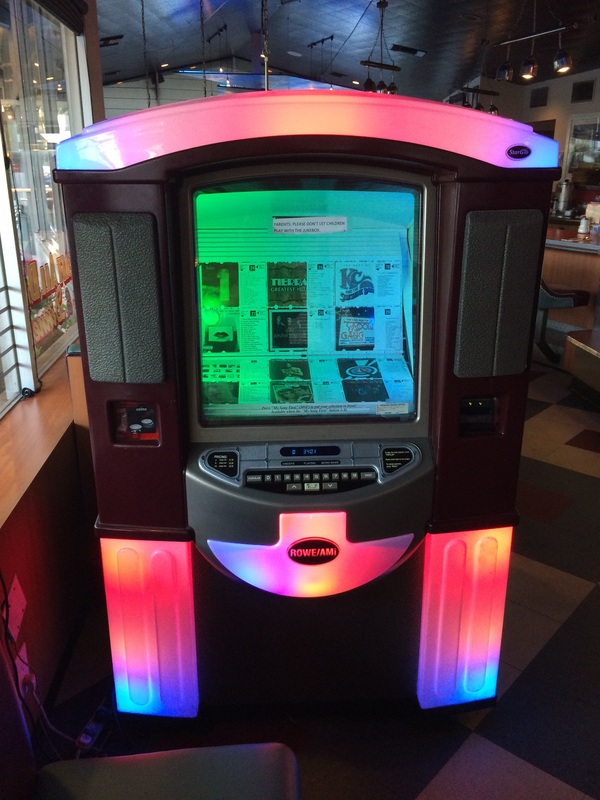 Although it is a diner, the jukebox is pretty new looking. If you’re ever in Alhambra, California, you should check this place out. The food was pretty good and it has a certain old school charm to it. There are so many great chain restaurants out there. But, when you find a good local place, it makes for a fun change of pace. On Sunday, it was back to the gym! With the taper period and marathon behind me, it was time to get back to full gym workouts. So, I got back on the treadmill. Instead of picking up where I left off by running an entire mile before stopping, I went backwards and did the following workout…walk 1/4 mile, run 1/2 mile, walk 1/4 mile, run 1/2 mile, walk 1/4 mile, run 1/4 mile, and walk 1/4 mile. This is what I was doing before stepping up to the full mile. Even though my Saturday run went well, I didn’t want to push too hard in this first week after the marathon. 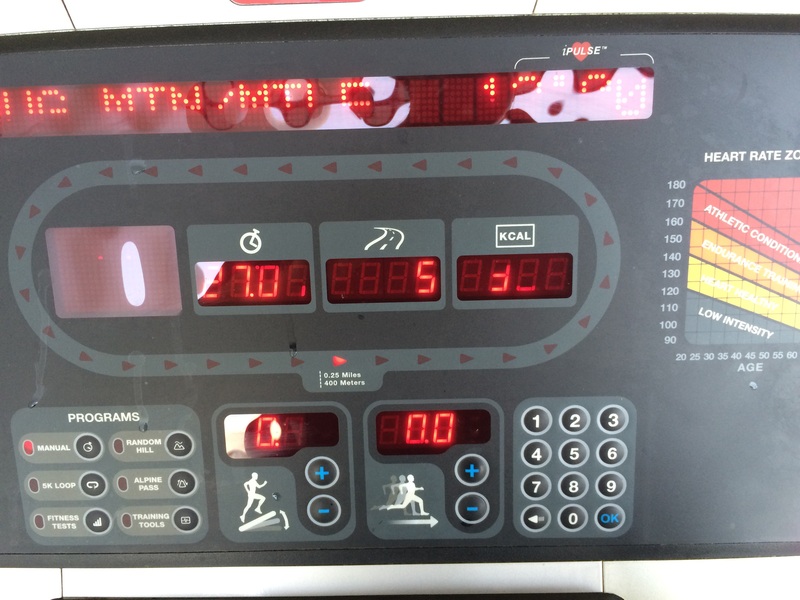 The pattern I chose for my return to the treadmill worked really well. I almost decided to make the last run interval another half mile. However, during the walk break before it, I decided to take the victory and start the gradual build on the treadmill again. Next week, I’m planning on doing the same pattern. 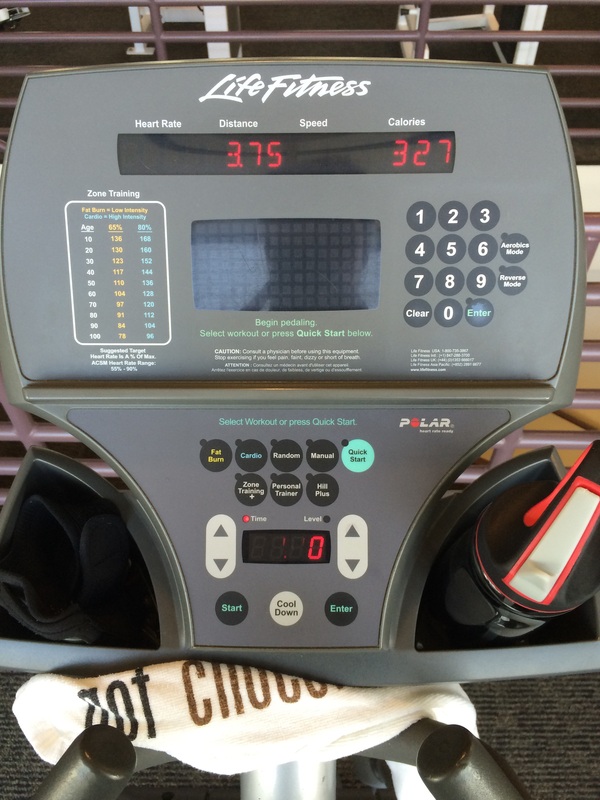 With the full gym workout, it means that, not only did I bring back time on the treadmill and leg press machine, but that the elliptical machine time was pushed from the start of my gym time to the end. That makes time on the elliptical more difficult because it comes after all the other exercise is complete and I’m more tired than I would be at the start. Again, I was a little concerned going into this workout at how the elliptical machine would feel. Again, I didn’t need to be so concerned. Everything went really well. I felt strong the entire time! 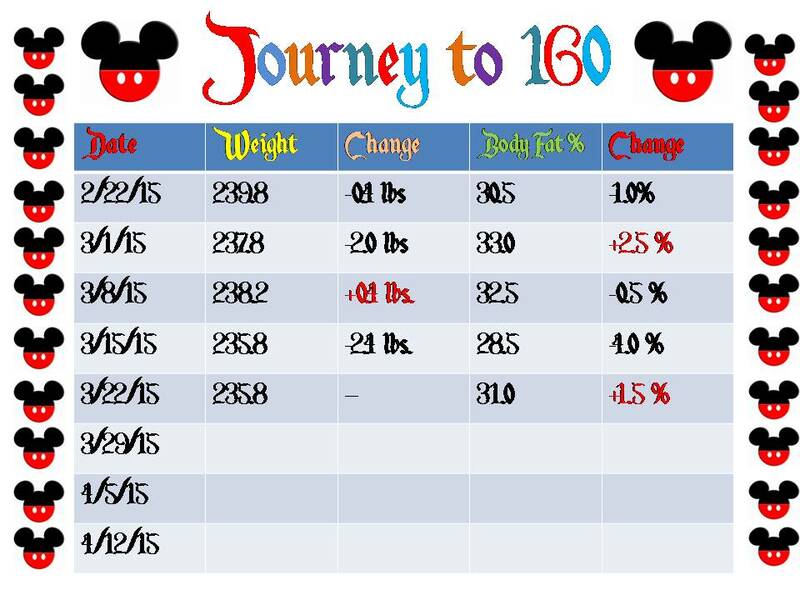 As for the Journey to 160…I remained exactly at the weight I was at last week! Since I was taking away two runs and I spent a day at Disneyland and Disney California Adventure, this week loomed as a potentially bad week for weight loss. As it turned out, I did just enough to keep my weight the same. I’ve lost 13 pounds exactly year to date. It’s time to get back at it this week. 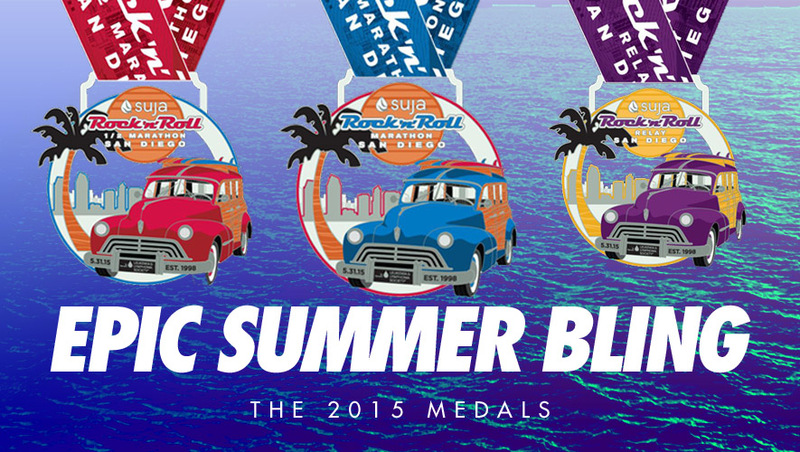 Now that I’ve trained for, run in, finished and recovered from the 2015 Asics Los Angeles Marathon, it’s time to turn my focus completely to my next big race…the Rock n Roll San Diego Half Marathon! 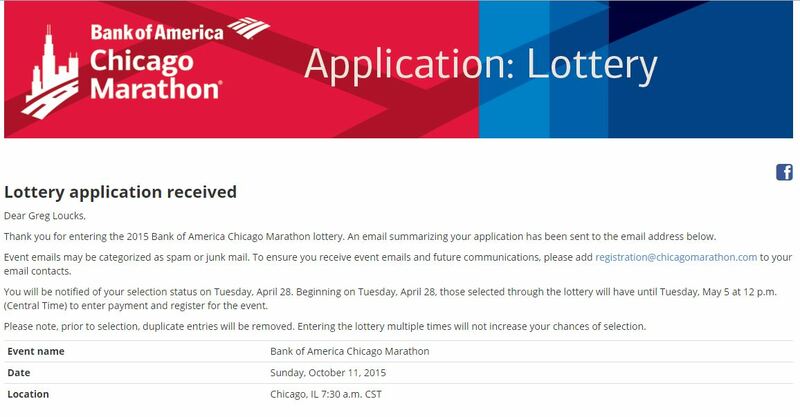 Lastly, this weekend, I put my name in for the lottery to run in the Chicago Marathon! I have no idea if I will actually get in. However, I’ve taken a leap of faith to see what will happen. 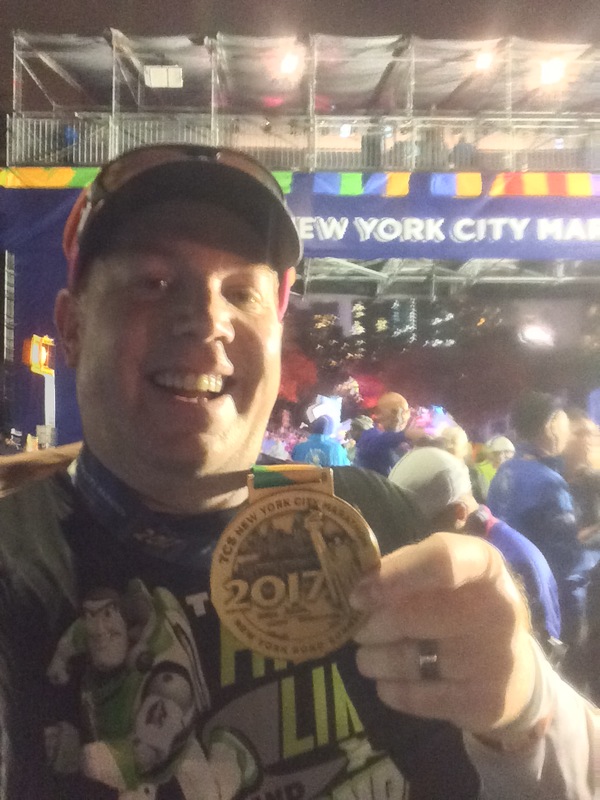 I had thought of entering the lottery for the New York City Marathon and did not. I regretted that. Since you cannot defer your registration if selected by the Chicago Marathon, I decided not to enter the lottery for the Marine Corps Marathon. On April 28th, I’ll get notification if I made it and then have until May 5th to pay the entry fee. So, wish me luck. I chose this marathon over the Marine Corps Marathon because the Chicago Marathon was the featured race in Spirit of the Marathon (the movie that inspired me to even attempt a marathon). Plus, my wife’s family is from Chicago. So, it would be a cool trip if I get to run. Oh, I almost forgot. This week, on the same day that runDisney announced the additional races for the 2015 Avengers Super Heroes Half Marathon Weekend, the Los Angeles Marathon announced a flash 2 day sale on registration for the 2016 Los Angeles Marathon. So many of those I knew who ran in this year’s race, jumped on the early registration. I did not. Here’s why…financial. The Avengers Half Marathon registration is coming up April 7th (this coming Tuesday for Annual Pass Holders and DVC Members). The cost of the Infinity Gauntlet Challenge is $330 (plus Active fees). The cost of the 2016 Los Angeles Marathon registration was $160. That means I would be putting out around $500 on race fees in 3 weeks time. I just don’t have that kind of money lying around. If I could get one of those money trees, I would have been all over the advanced sale. Until then, I’ll register when the money is available. I am planning on registering for the Infinity Gauntlet Challenge April 7th and will register for the 2016 Los Angeles Marathon in September. It may end up costing a little more to do it this way. However, that’s where the money is at this point. That’s all for this rather lengthy weekly recap. Come back tomorrow as I recap the NutriBullet Health and Fitness Expo as part of my coverage of the 2015 Los Angeles Marathon. See you then! great recovery week-it was spring break for me so I got to really relax and get well. now on to more training! and congrats on entering the chicago lottery! after getting into the NYC marathon and then deciding to do wine and dine as well, MCM and Chicago will have to wait for another year (maybe next year depending on how I budget for rundisney disneyland paris). and i totally signed up for the LA marathon 2016 and so did my boyfriend! yay for his first marathon! Thanks! We shall see if God wants me to run Chicago or not. Since you got into NYC, I wouldn’t sweat any other fall marathons. That seems to be the way the elites approach marathon running. Deena Kastor talked about how she would take an entire month off from training after a marathon. Then, she’d get the running calendar set for the next one. She ran one in the spring and one in the fall. So, if anyone gets down on you for not entering the MCM or Chicago, just say you’re doing what the 2004 Olympic Bronze Medalist does and are focusing on one marathon for the fall. 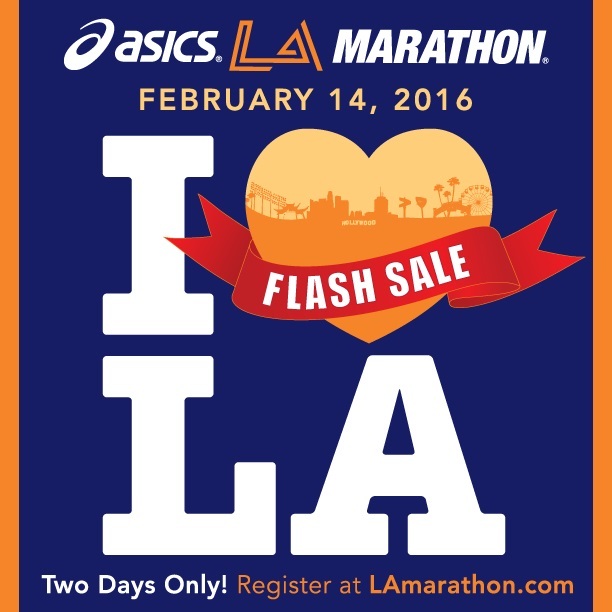 I do wish that I had the money to register for the 2016 LA Marathon during that sale. However, with the Avengers coming up and a trip to Walt Disney World at the end April/beginning of May, the money just isn’t there. So, I’ll wait. Good luck to your boyfriend in his first full marathon! It can’t be crazy hot three years in a row. Right?